Peruse images of the Mako 234 CC, a contender in the Fibreglass Fishing Boats category at the Australia's Greatest Boats 2016 test. American fishing boats often don't suit all of our Australian interests. Many have huge mouldings for seats, inefficient bait tanks and long pods that restrict the action in the working area at the transom. But not the Mako 234 centre console! This boat was one of five vessels to compete at Australia's Greatest Boats 2016 in the fibreglass fishing boats category. 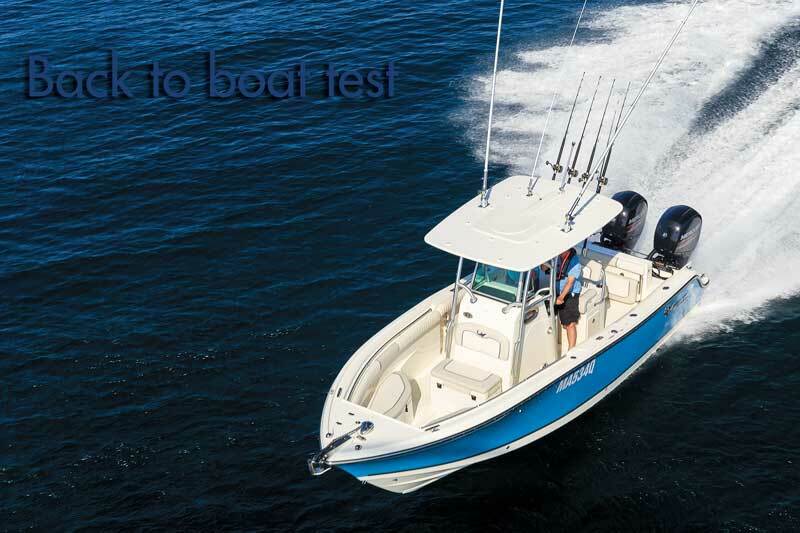 This big, wide walkaround centre console is fishable through 360 degrees around and if you wish to fish out of the transom at anchor or use modern short-stroker technology off the stern, you will love the accessible and functional twin-rig transom. We all love the image set by these big American boats. They are broad and loud with high shoulders and sweeping sheer lines that make a statement on every offshore fishing ground. The Mako 234 CC certainly came to do battle with the crowd at this year’s Australia’s Greatest Boats and left plenty of toothmarks on both the judges and all onlookers that admired such majesty. This is a really beefy boat with exceptional abilities. We often draw criticism for allowing imported products into the Greatest Boats field, however, world beaters like the Mako 234CC defy such logic. It is certainly one of the best sports and game fishing boats available in today’s market, whether locally or internationally. Besides, imagine Wheels Car of the Year without imports!